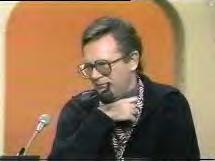 Sad news for fans of goofball television on a Memorial Day: Charles Nelson Reilly has died. Lest some readers of Blackwing think I am going the way of blog-potpourri with this post, rest assured that Charles Nelson Reilly was a friend to wonderfully cheesy and strange cartoons and the kids that watched them; he deserves a moment of reflection and thanks. I mean that sincerely. A terrific comedian, likely the first openly gay man many kids ever saw regularly on television, he was also a serious student of acting, a director of award-winning stage productions, and a playwright. He was also a sweet, funny, engaging man in real life--an opinion I base on running into him after work at Pavilions on Ventura Blvd., doing his grocery shopping. Here was a guy who truly made life--or buying a lamb chop--a moveable party. And speaking of parties, try catching up with some reruns of "Match Game", a game show where the game mattered not at all, the guest celebrities all knew each other and were often a little tipsy as the day's taping went on--and Charles "underplayed" if not underdressed his usual persona to wonderful effect. That man got away with some of the most unbelievable insults (mostly to the woman who became a close buddy, Jack Klugman's then-wife Brett Somers) ever ad libbed on american television. For kids who were watching it all made adult life seem like some bubbly cocktail party...or reminded us of funnier versions of our own parents, I'm not quite sure. Of course, there was also Sid and Marty Krofft's "Lidsville", "The Ghost and Mrs. Muir", and one fantastic performance on "The X Files"(the latter really showing what the man could do without all the schtick). He won a Tony award for "How to Succeed in Business Without Really Trying" on Broadway. He's done voices for "Spongebob", Hanna-Barbera, Disney television and many Bluth features. He said he'd be eulogized as a game-show guest, and he will--but the important thing is that he'll be remembered by millions of people who have a genuine, fond affection for him, courtesy of his own inimitable self. He afforded us some killer laughs. That's a real rarity. Hail and farewell. I met CNR a long time ago : it was after he had finished directing "THE NERD", which I (in my short lived role as Broadway investor) had been asked to put mney into. Anyway, he was very animated himself, and remarked, "All my friends call me 'Andre'" .. so R.I.P. Andre! 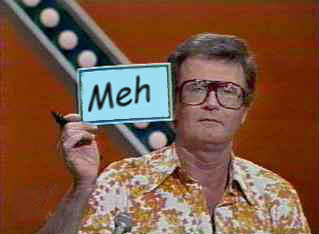 I remember Charles Nelson Reilly from when I was a kid...he's a classic. I didn't know he did voices for the Spongebob series. I wonder if he saw Alec Baldwin's great impersonation of him on Saturday Night Live. Anyone remember "The Ghost and Mr. Chicken?" A great comedian, always made me laugh. I bet he's laughin' it up right now at a cocktail party with Paul Lynde and Don Knotts.